Yes! 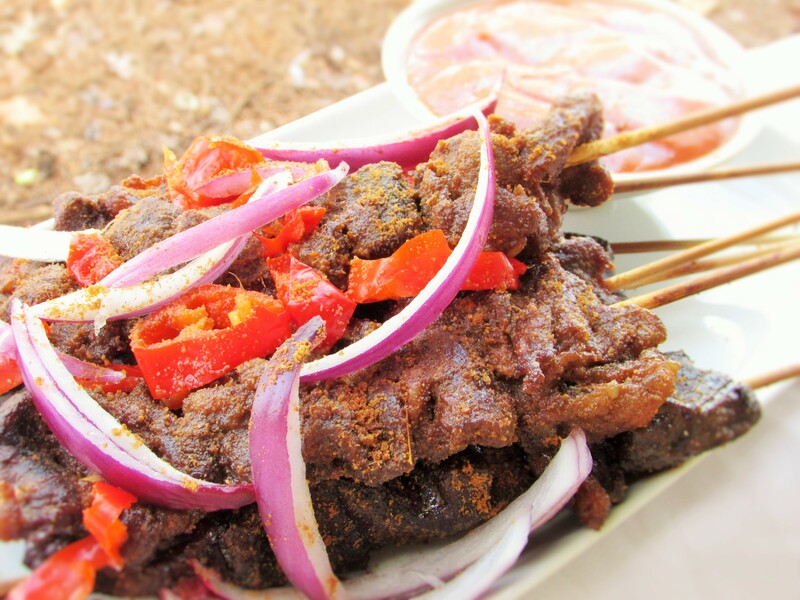 I did a post for chicken and I had to do this one too….It all began with the chicken suya. 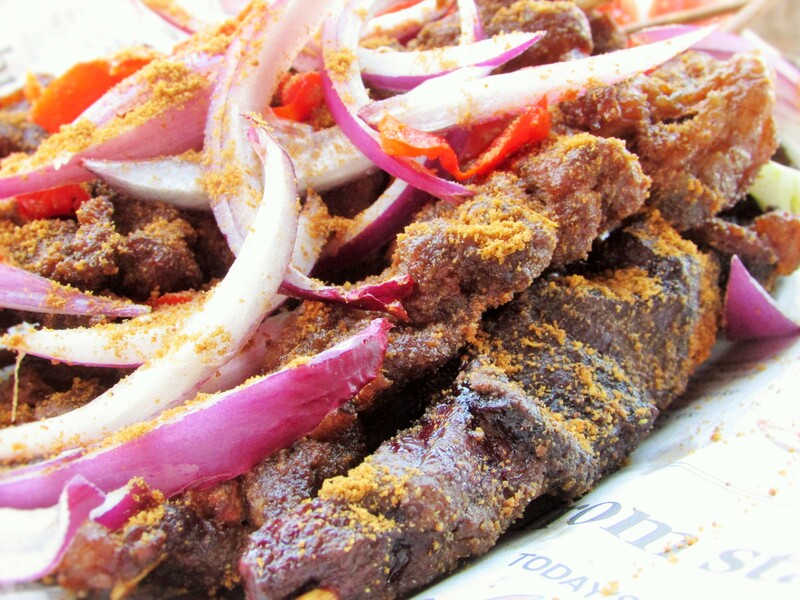 Beef Suya, is also an exotic Nigerian street food. 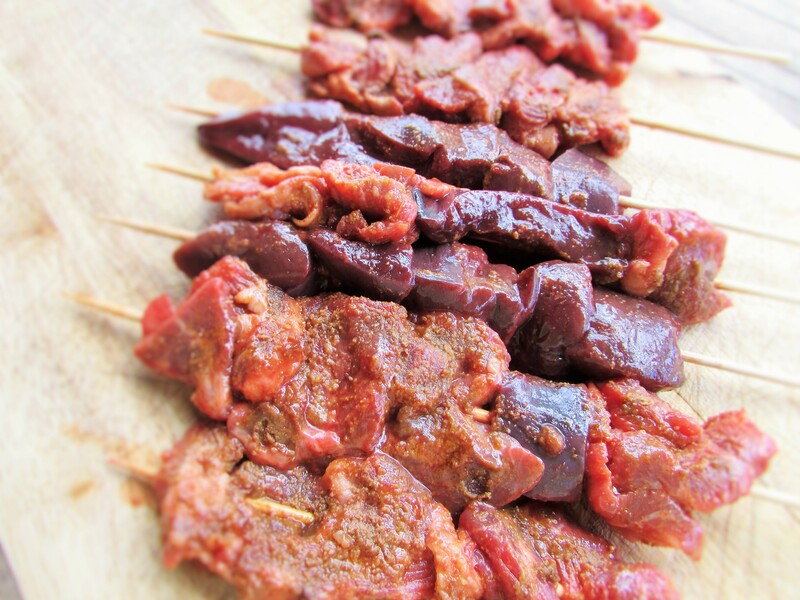 Between the beef and chicken Suya there is a sweet spot of flavours which you will absolutely love 🙂 Before embarking on the adventure of making the beef Suya, I had asked so many questions on my facebook page and also asked for pictures which my Big Brother Ifeanyi was able to help me with. 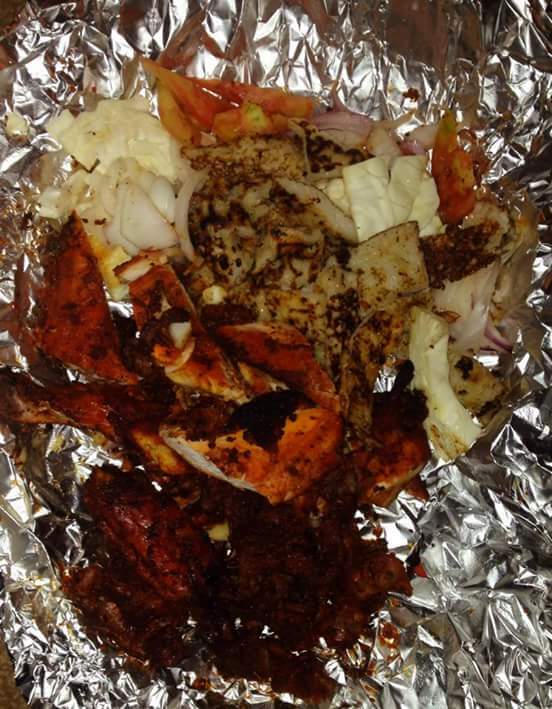 In his Suya bowl he had beef and offals. It looked quite tasty and interesting. He even had some whitish looking stuff in the bowl and when I asked him, he said it was Masa. 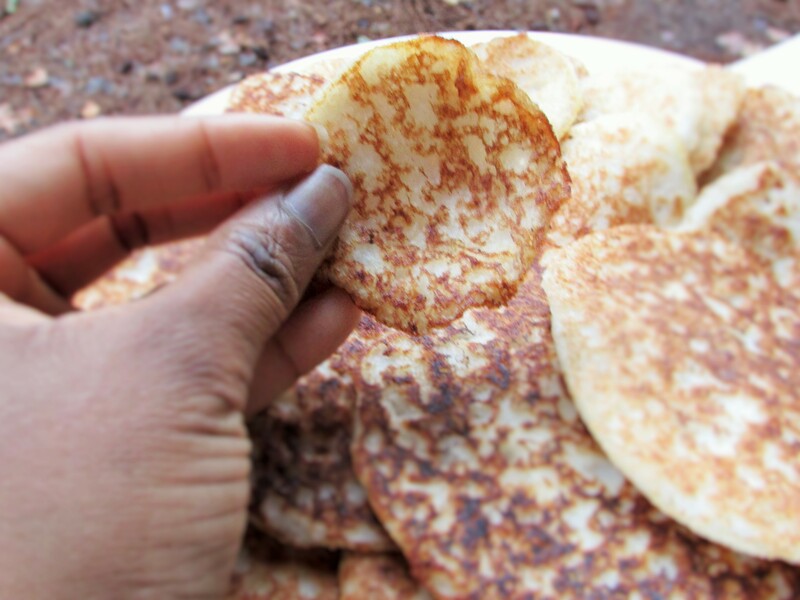 A Facebook friend Aishatu was able to help me with the recipe for Masa; while cousin Hassana agreed with her. In all it was fun and quite enlightening. 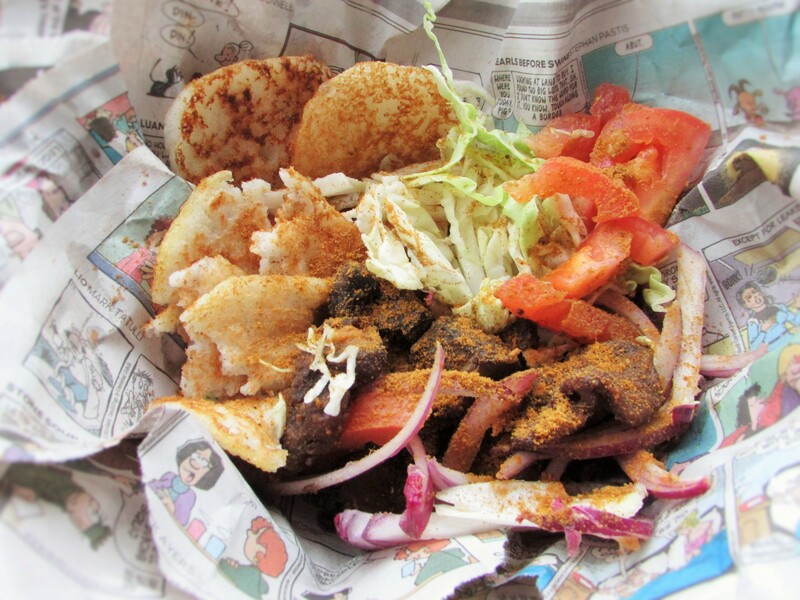 I actually like Masa and from my little research it can also be eaten with some spicy stews. The making is quite tedious but in all it was well worth it. I will be sharing the recipe for my Masa soon. Once the meat is done, let it rest for about 10minutes before cutting into bite sized pieces. 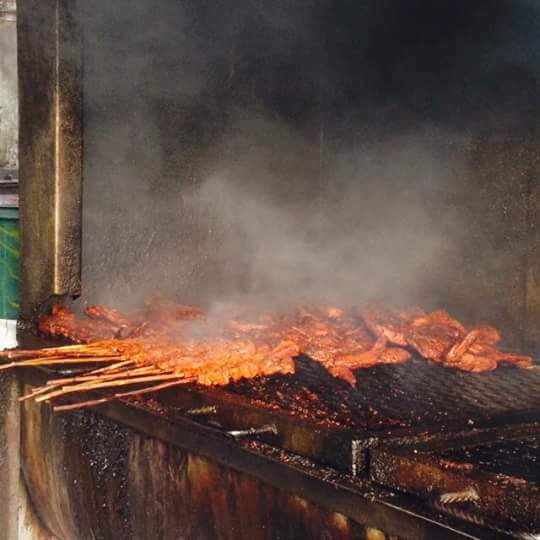 This entry was posted in Appetisers, Appetizers, Barbecue Recipes, Beef, Beef suya, Nigerian small chops, Nigerian Suya, Small chops, suya and tagged Barbecue, Barbecue recipes, Barbecued beef, barbecued beef recipe, Beef Suya, Beef Suya recipe, How to make beef suya, how to make suya, mai suya, Mallam, Nigerian small chops, Small chops, suya, Suya recipe. I’m going to try this recipe, you have to put the Masa recipe up too and how to make it!